Keep money and valuables safe with our selection of drop safes. We offer a great selection of retail safes to meet your business needs. Choose from both new and used store safes. Made with metals such as steel, these retail safes are a great way to secure your livelihood. Doors are on reliable hinges expertly placed to ensure they cannot be opened without using the proper methods. Safes can be mounted to walls, counters, or floors with the convenient pre-drilled mount configurations. Fire Safe - We have fire safe options for added peace of mind against not just theft, but also natural disasters that may strike your location. They are available with either keys or keypad operation options. Keypad Safe - Keys are a great option when a limited number of individuals will have access to the safe, but the code system is ideal for having multiple responsible parties granted access to the safe. The electronic keypad is easy to program. Cash Drop Box - Small and easy to place on a counter, these boxes are a secure way to accept payments or store excess register money. They use a key to limit access to the money. 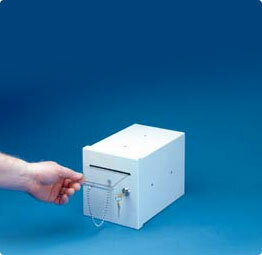 Depository Safe with Slot - Another great option for maximum security would be a deposit drop safe. This option allows for people to drop a deposit through a slot, but not have access to the rest of the connects of the safe. This option is often preferred for those business owners who want as few people as possible in the safe to help with accountability should an issue arise. At Gershel Brothers, we are honored to be your destination for a wide range of products for your business. 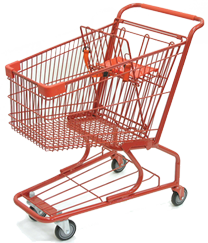 With an expansive inventory of options and budget-friendly pricing, we are sure you will find the right solution for your business. If you have any questions, we would be happy to assist you further while shopping with us.